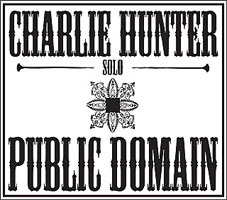 As ever, 7-string guitarist Charlie Hunter can be counted on to shake things up every couple of discs. After two trio sets with keyboardist Erik Deutsch, Hunter returns to the horn-driven breadth of Right Now Move (Ropeadope, 2003). On Gentlemen, I Neglected to Inform You You Will Not Be Getting Paid, however, Hunter trades Right Now's unorthodox harmonica/sax/trombone frontline for the equally unusual line-up of two trombones and trumpet. But more than just the line-up has changed. Emerging in the mid-1990s as a true guitar wunderkind, Hunter marveled with his seemingly unmatchable ability to play a hybrid guitar, combining electric guitar and bass onto one instrument. 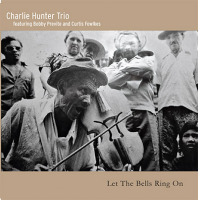 Starting with his second release (and first for Blue Note), Bing Bing Bing (1995) and continuing through a variety of groups and labels, Hunter's technical abilities have been honed to the point where he no longer has anything to prove. Consequently, recent albums have leaned away from lengthy tunes with plenty of solo space to greater concision and focus on song form and groove. 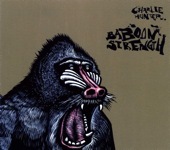 Gentlemen, I Neglect, clocking in at a mere 38 minutes, is Hunter's shortest group album to date, and with only one song barely scraping past five minutes, those looking for muscular and extended soloing will have to search elsewhere. 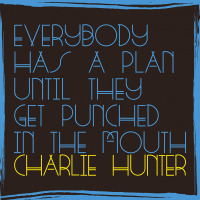 But Hunter's pared down more than just his writing. Hunter has, in the past, used processing to expand his instrument's sonic potential, making albums like Ready ... Set ... Shango! sounds more like an organ-based quintet than the guitar-centric quartet it truly was. Here, Hunter has dropped most of the effects, other than a little grit, making Gentlemen, I Neglected his sparest record to date...and, from the perspective of writing and pure feel, one of his best. Hunter's also stripped down the arrangements, making this one of his most direct discs to date. Still, even within a more simplified context he proves himself capable of navigating changes on the funky "Ode to My Honda Odyssey." His solo, bolstered by the horns, reflects Hunter's astute ability to wind melodies through even more complex harmonies; his bass lines so in-the-pocket and responsive to drummer Eric Kalb that it's still a head-scratching wonder how he manages to do it all. The music breezes by, whether it's the dark vibe of "Every Day You Wake Up New York Says No" or the raunchier blues of the title track. Hunter's managed to not just master playing two instruments at once, but to apply all kinds of individual techniques, as on "Antoine," where he pulls on the guitar strings while still managing to retain a soft and smooth bass line throughout. Hints of Ry Cooder archivism abound on "High and Dry," while the changes on "Tout Ce Qui Brille Ne Pas Or" feels like something out of Bill Frisell's Blues Dream (Nonesuch, 2001), only less quirky. It may be short, but Gentlemen, I Neglected to Inform You You Will Not Be Getting Paid sure is sweet. Track Listing: You Look Good in Orange; Antoine; High and Dry; Tout Ce Qui Brille Ne Pas Or; High Pockets and a Fanny Pack; Drop a Dime; Ode to My Honda Odyssey; Every Day You Wake Up New York Says No; Gentlemen, I Neglected to Inform You You Will Not Be Getting Paid. 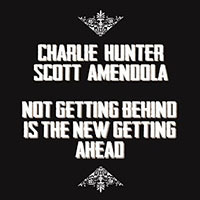 Personnel: Charlie Hunter: 7-string guitar; Eric Kalb: drums; Alan Ferber: trombone; Curtis Fowlkes: trombone; Eric Biondo: trumpet.